Taking up nearly 30% of the market share for new home siding installations, this popular siding choice provides both beauty and function. You have your pick of the different vinyl profiles, such as horizontal and vertical panels, Dutch lap, shakes, beaded or even scallops. With all of these great profiles, you’re guaranteed to find the right vinyl siding choice that fits your existing exterior. For a unique exterior, go with metal siding. With this material covering your house, you’ll enjoy resistance to color fading, water damage and mold growth. Like vinyl siding, fiber cement is another popular siding option. Its highly specialized blend of wood fibers, sand and cement helps it mimic the look and feel of natural wood siding, without the high upkeep demands of that material. If you’re interested in making your exterior look more rustic, old-fashioned and classy, brick siding is the right material for you. Best of all, it’s known to last a lifetime. Stucco siding is made up of a lime, sand and cement mixture. When mixed together, they produce a highly durable material that is low maintenance and resistant to rot. It is also a breathable material that allows for quick drying in storm-prone areas. If you do find yourself needed to deal with storm damage, we offer excellent storm repair solutions that are covered by insurance. 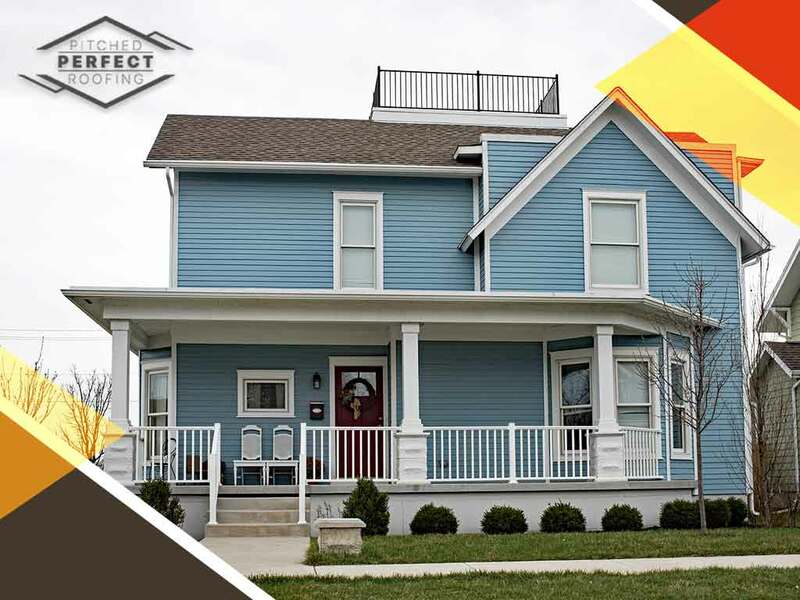 Pitched Perfect Roofing protects what matters most to you – your home and the people in it – with our excellent products and installation services. Call us today at (240) 200-0298 for more information. You can also request our services by filling out our contact form. We proudly serve residents of Potomac, MD, and other surrounding areas.